March 31 is considered as the last day of a financial year. IndiaNIC celebrated that day in a different manner by appreciating employees for the best execution of projects and punctuality. The celebration began with presenting awards to the best project team that delivered the project on time and took care of client satisfaction. 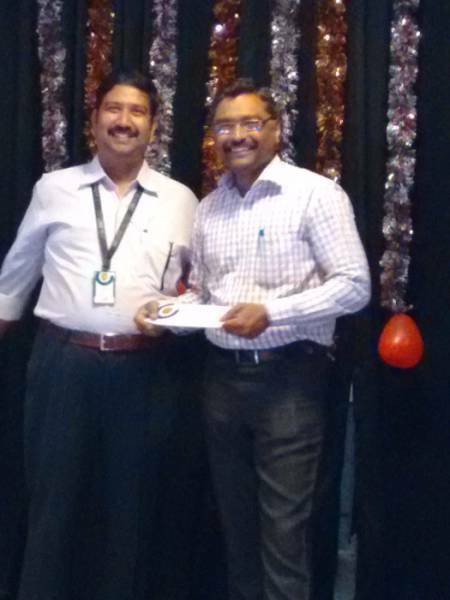 In addition, IndiaNIC awarded the most punctual employee of the year. In a way, IndiaNIC once again showed appreciation for the commitment and dedication toward punctuality and client satisfaction. When it comes to celebration, IndiaNICians never stay behind. As the award ceremony was over, IndiaNIC celebrated for more than 30 employees whose birthdays fall in March and everyone enjoyed the pleasure of celebrating a grand birthday party followed by dance performances and snacks.